Tokyo is not as well provided with green open spaces as London. 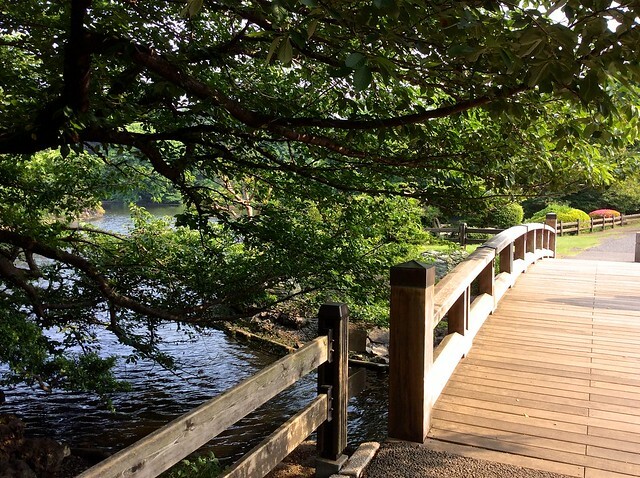 There are a few parks in the centre, like Hibiya Park, but nothing like the great swathe of green that runs through the centre of London, from St James’s Park all the way to Kensington Gardens. 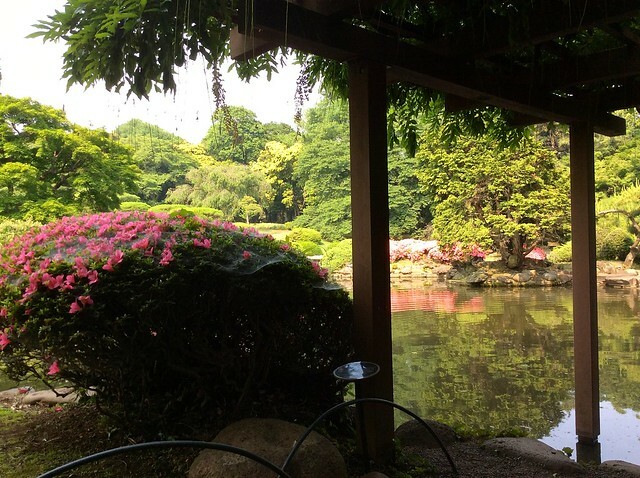 But they do have one magical place; the National Garden in Shinjuku. I always visit Shinjuku Gyoen when I’m in Tokyo so of course I went there last week. 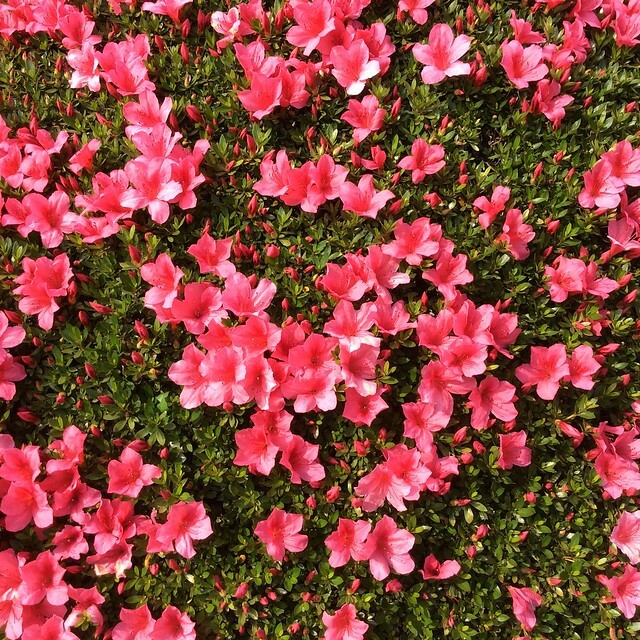 It’s azalea season, one of the loveliest times in the park. Let me show you what I mean. 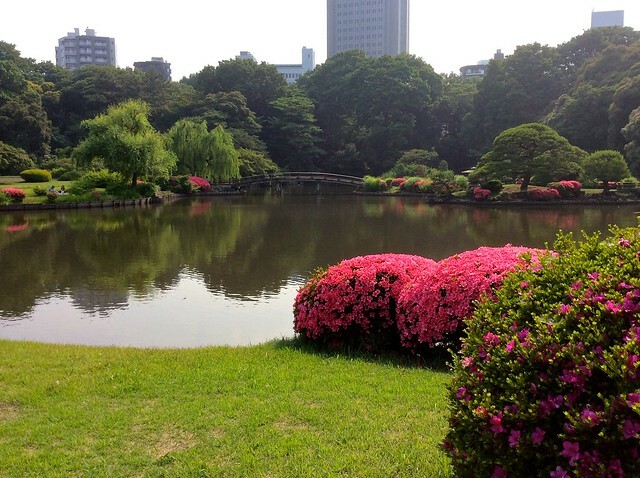 The site of Shinjuku Gyoen was formerly the grounds of the mansion of Lord Naito, a feudal lord of the Edo era. 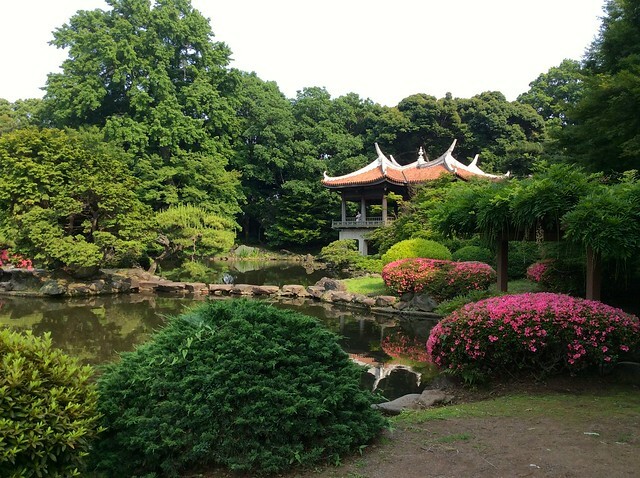 The garden was completed in 1906 as an imperial garden and became a national garden after the Second World War. 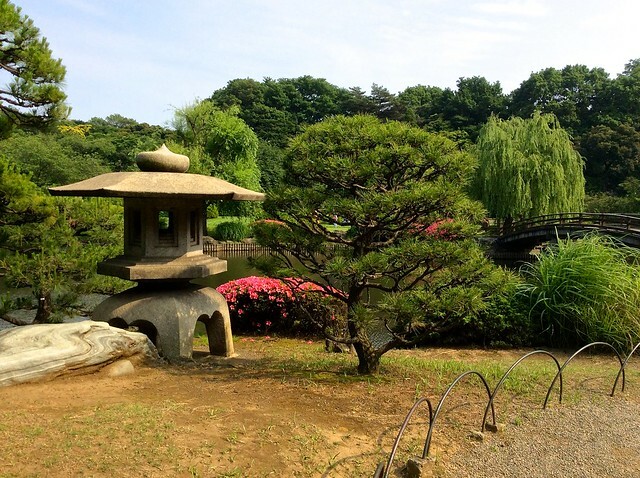 It’s considered to be one of the most important gardens from the Meiji era. It covers 144 acres and has a circumference of just over two miles, making it slightly smaller than Hyde Park. 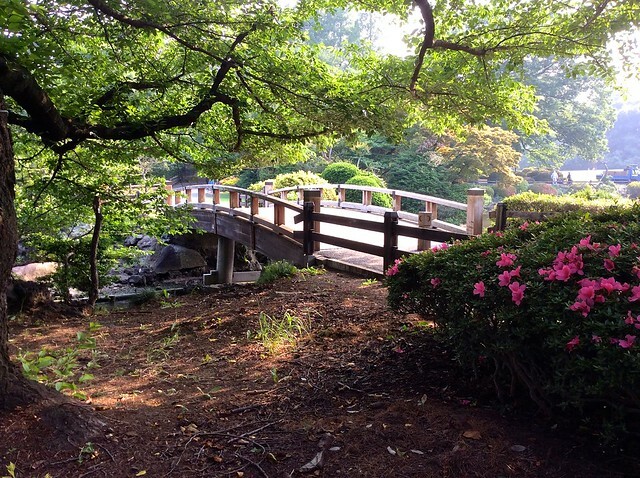 I always go in through the main Shinjuku Gate and head down through the English landscape garden towards the lake. Well, it’s not so much a lake as a series of ponds known as upper, middle and lower pond. 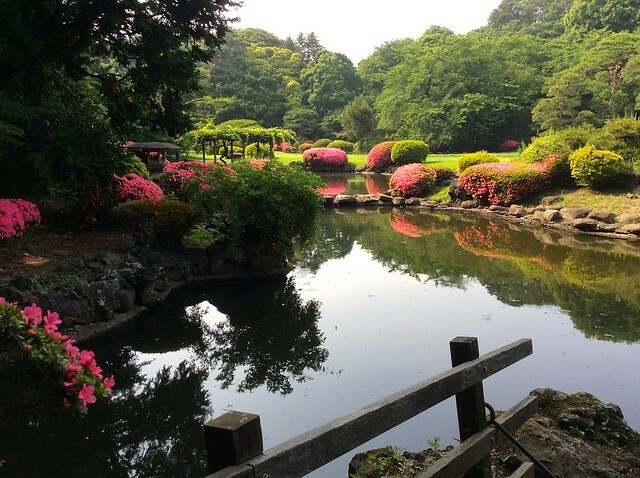 The upper pond has been landscaped as a traditional Japanese garden, and it’s here that you find most of the azaleas, trimmed into perfect oval shapes. The Kyu-Goro-Tei (Taiwan Pavilion) overlooks the lake and is open to visitors. It was built in 1928 in the Chinese Minnan style to commemorate the wedding of Emperor Hirohito. The lower pond is my favourite, it’s been left natural with a woodland walk on one side and trees along the edge, their branches trailing in the water. 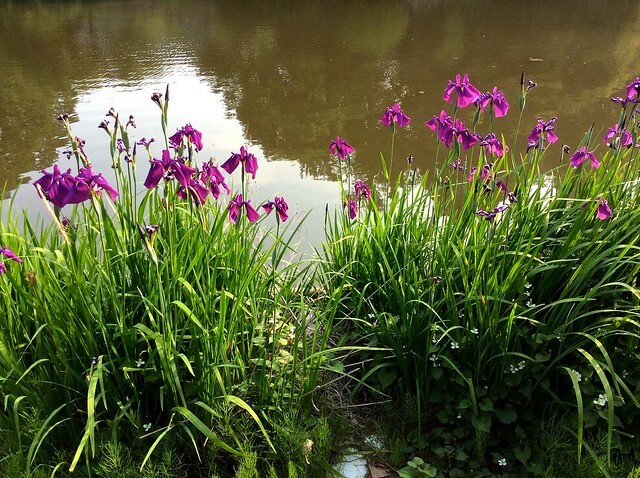 The irises were just coming into bloom when I was there. 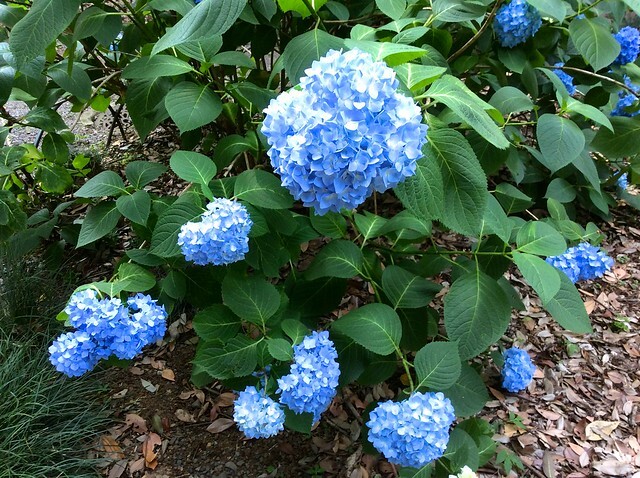 And the hydrangeas, looking forward to the rainy season which starts soon. 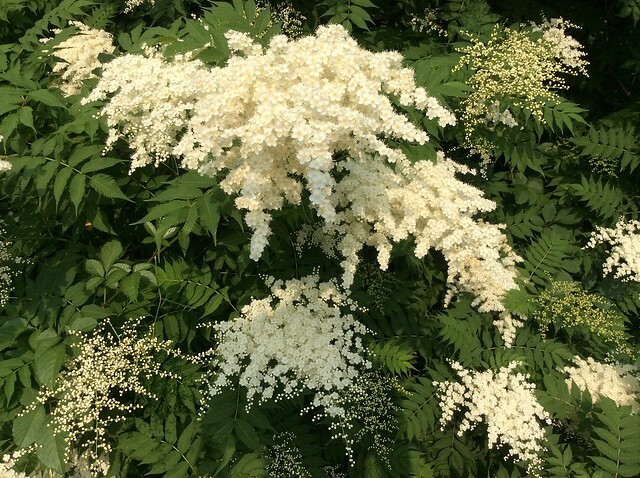 The plant is a sorbaria kirilowii (false spirea). It originates in China. I wish I could capture its scent for you; rich and heavy, it reached me long before I got to the bush itself. It was unusually hot and sunny for the time of year – I was glad to spend an afternoon in the shade of Shinjuku Gyoen after the bustle of Akihabara in the morning. 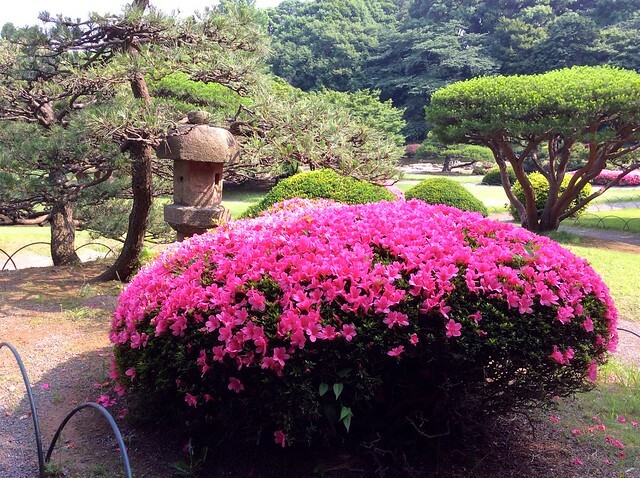 This entry was posted in Japanese Gardens and tagged azalea, Japan, Japanese Garden, nature, plants, Shinjuku Gyoen, Tokyo by Fran. Bookmark the permalink. There were other people there – but as it was a weekday afternoon, not all that many. I think it’s the tourists who fill up London parks as they’re easy to find, whereas you have to go looking for Shinjuku Gyoen. Yes, I forgot to mention, it’s 200 yen to get into Shinjuku Gyoen. Money well spent though!